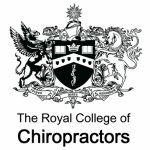 The Royal College of Chiropractors Research Unit offers grants of up to £1600 each to support RCC members who are registered on a part-time PhD or Professional Doctorate programme while also substantially active in clinical practice. Grant applicants are eligible to receive the grant up to three times during the course of their doctoral studies. The deadline for receipt of applications for the 2018/2019 RCC membership year is 12 noon on Friday 18th January 2019.